in the photo carrying a gun. for the trip to market. 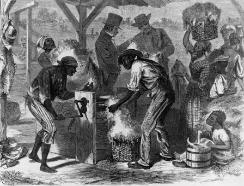 entrenched its dependency on slavery. efficiently. 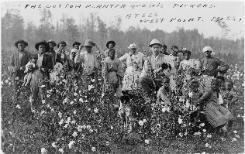 Cotton was a labor-intensive crop. 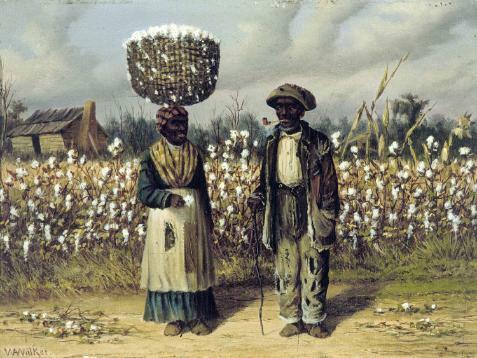 increase from 700,000 in 1790 to 4 million in 1860.
depended on slavery and slavery depended on cotton. giving it a huge role in the global economy. happen if no cotton was furnished for three years? Atlantic Seaboard who came to make a quick fortune. 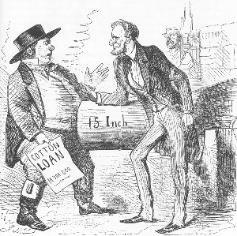 well as selling goods to Southern planters.